Walk A Mile was a huge success. 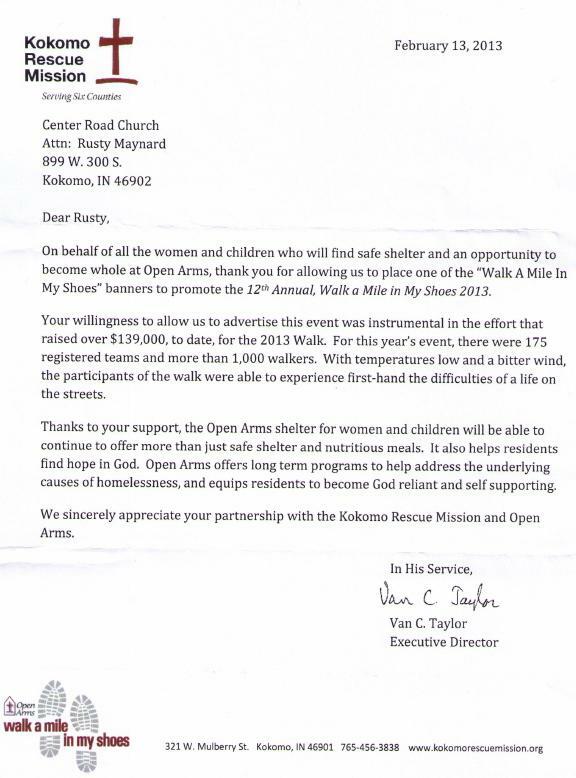 It is about helping Open Arms, which is local shelter for Women and Children in Kokomo who do not have a home. The tour leader shared with us that teens who come there are around 14, usually. They have had up to 36 children plus moms and women there in the past. Our kids asked for your help, and you came through. We contributed $200 to the effort. All together $139,000 was raised to help and it is believed that over 1,000 went on the walk to support this effort. Way to Go! This is a 2 min overview.